Braided hair is never a fad. It’s been trendy over the decades. 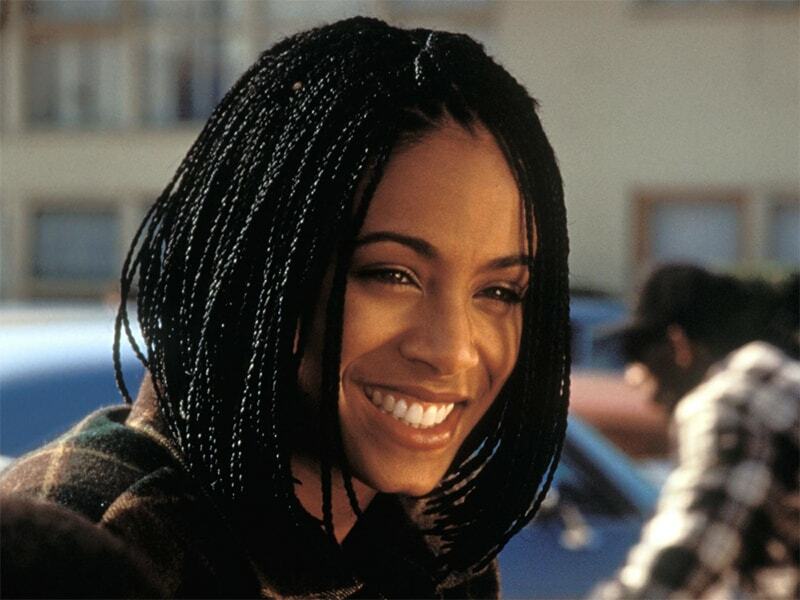 In 2019, there are some hair braids styles you should never ignore. If you’re feeling bored with your old hairstyle and want to change it, try Layla’s hair suggested hairstyles below. The hair braids styles are not only especially suitable for you with long hair, but even those with short hair can apply it. 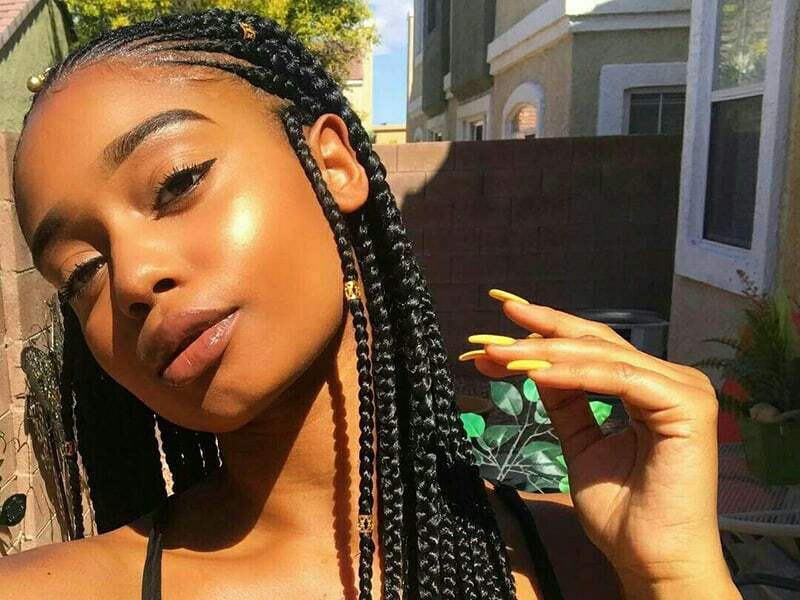 This is one of the cutest hair braids styles in 2019, suitable for all girlfriend hair lengths, helping you have more suggestions to change your hairstyle every day. 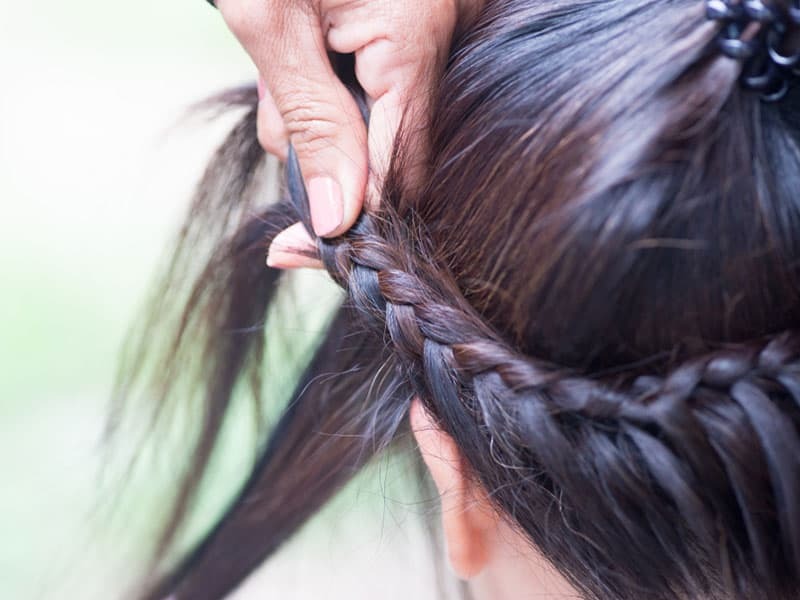 Thai-style plaited hair is actually a hair braid style using 3 simple curls and cross-hairs that many people call fishbone braided hair or crocodile braided hair. You can split your hair in half and plaited, which help you look very cute. Actually, this is the fishbone hair braids styles, because it is plaited from 2 curls of the two sides, only 2 curls, not 3 curls like Thai fish bone braided hair. Besides, when doing this hair sample, the girls noticed the curls of the small sections, not the big curls like Thai braided hair. Crown braided hair is a hairstyle around the head like you are wearing a crown. It is especially suitable for holidays, night parties, weddings, even for brides, etc. Certainly, with this hairstyle, you will look really beautiful, gentle and extremely attractive. 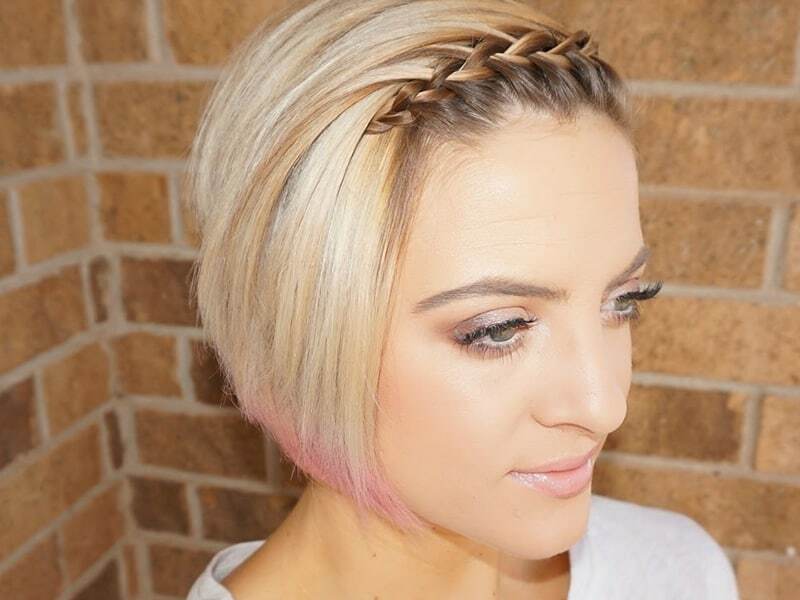 For those who are strong with blonde hair, it is impossible to ignore this unique hair braids style blonde. You start performing braided hair in the tail and starting from the hair in the temple. After that, remember to have a tight hand to keep the skin close to the head. Your new look will be new and interesting. Applying this braided hairstyle and dyeing hair colors will help you stand out even more. 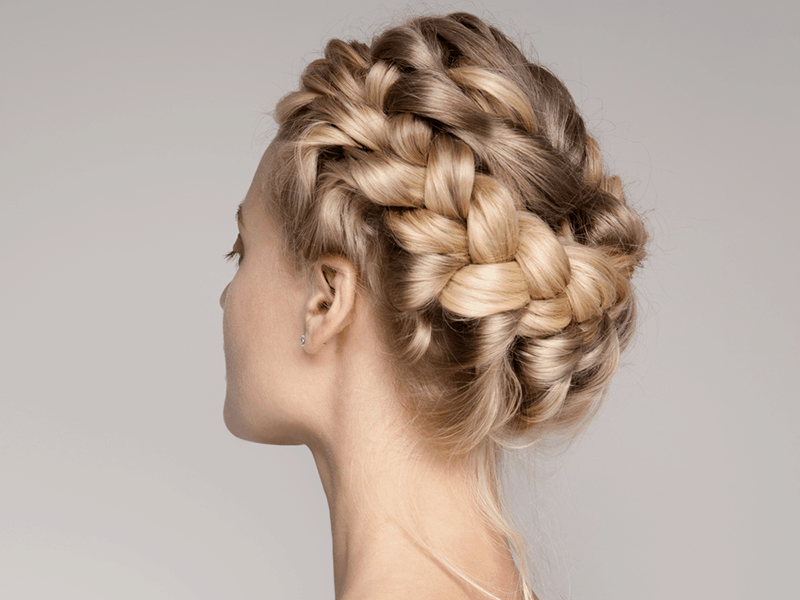 The braided hair is popular with many blonde haired women because of its feminine and sweet features. This hair braids style is perfect for long and thick hair. However, shoulder-length short hair is not suitable for this type. Short braids can still be very beautiful. 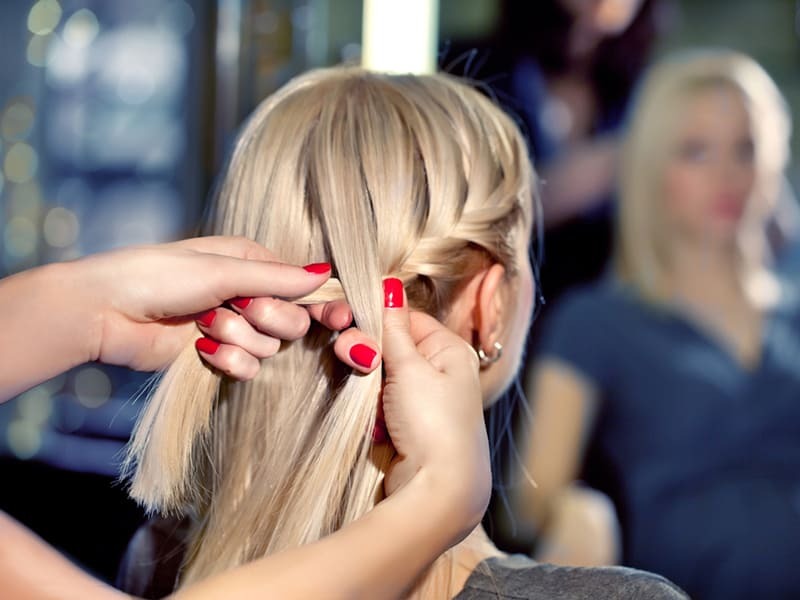 Tightening the tail of a pigtail will make your hair become simple and dynamic. If you are a person who has a slightly round, elected or unconfident face, put all of his hair neatly like other hairstyles. You can choose simple, first-half hairstyles, but no less lovely. First, take a piece of bangs from the middle of the road, pull your hair back and perform a plait of hair to the end of the ear. With this hairstyle, it only takes about 5 minutes to complete. Then, when your hair ends, you can use any accessories such as colored spandex, hairpin to fix. 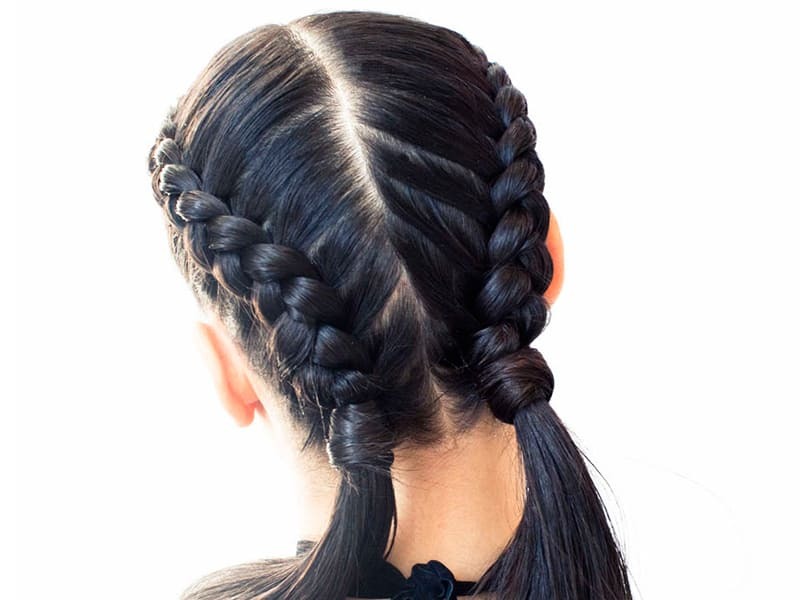 In 2019, if you want to “transform” you look both youthful and energetic, you should never ignore the style of braiding your hair on both sides. This is one of the hair braids styles which easily helps you “hack” your current age. 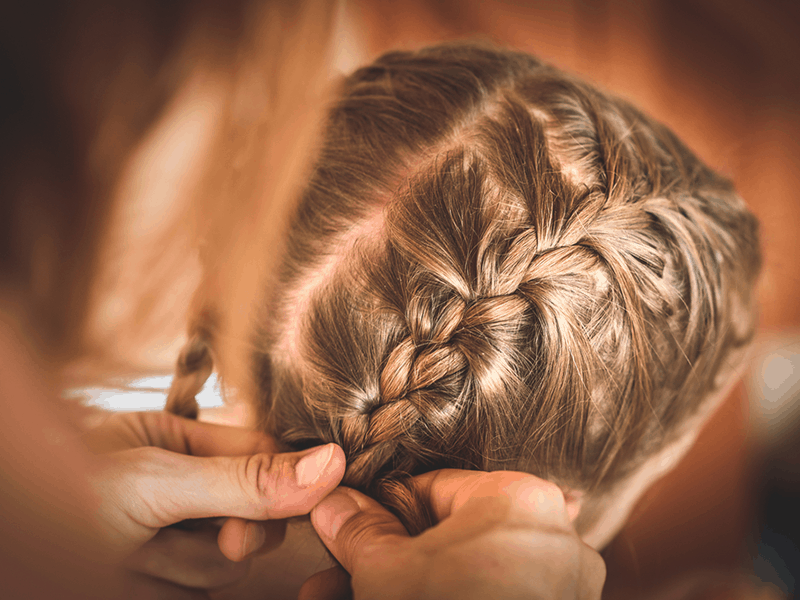 With this braided hairstyle, you start using the hair from the top of your head to the bottom, then choose to drop the hair into your hair or tie it all up! Another way for you: use the bangs that are tied into a braid, then cross right on top of the head to make a hair bandage for your hair. If you are not confident with your high forehead area, you can apply a method of braiding your hair slightly to one side, while being both compact and limiting your face’s shortcomings. Just brush your hair silently, take three curls on your left hand, then pledge your hair close to your hairline and plait to one side. Remember to take all the hair curls to style the hair to look beautiful and keep it soft. Wearing this style of braided hair, you will become elegantly feminine, suitable for work or special events. The most beautiful dyed hair color in 2019 and girls can’t ignore it. 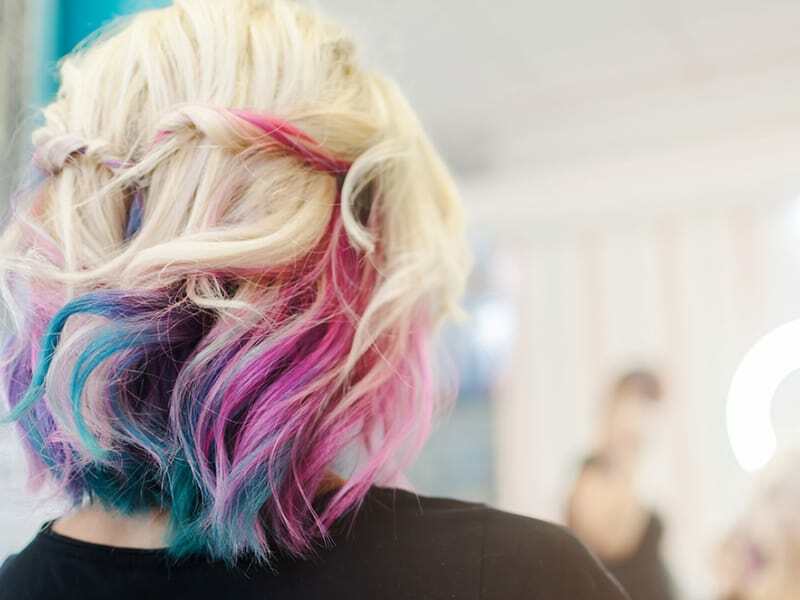 Additionally, the trend of dyed hair is more and more diverse with many different variations and ombre is one of the hottest hair colors today. Please refer to the beautiful ombre hair color suggestions below to see how to change your style. Purple is always a hair color that always creates an attraction. Owning purple ombre braids will help you become much more attractive and confident. However, to create a harmonious harmony, you should choose purple with moderate brightness to make the face more bright and outstanding. When it comes to the youthful and charismatic, it is impossible not to mention the Ombre dyed pink braid. This is a fresh eye-catching color and will surely become a hot hair braids style in 2019. Ombre smoky color is probably the best ombre braids because it is an impressive and eye-catching color. It gives off an exceptionally chic look. Girls always want to have a glamorous, elegant appearance in any circumstance, whether they are working, going out, dating to a party, especially in holidays and festivals. A suitable hair braids style and a gentle makeup would make your face shining. Layla’s hair hopes that with the suggestions above, you have chosen the best hair braids styles ideas to put on. Keep updated on our blog to get more tips and advice!